Accelerate Strength Gains With Rest Pause Training! What if there was a training system that allowed you to use maximal loads on every rep of every set? Well continue reading here if you would like to learn and use the Rest Pause Training program. Over the last ten years I have come across a wide variety of training programs that work tremendously well for increasing size and strength. For example, Randall Strossum's "Super Squats" program is very effective if you can handle the nausea and brutality of the program. Legendary bodybuilder Reg Park loved the 5x5 program that thousands of trainees have used to pack on size and strength. Top strength coach Charles Poliquin brought the extremely effective "German Volume Training" program to the mainstream and many trainees have used the program effectively to increase size and strength. Regardless, to be the best trainee that you can be and to continue on the path to massive gains in size and strength, you have to think outside the box and sometimes unlearn what you have learned. For example, does one rep always have to come immediately after another? Most trainees would say... of course. However, this form of training does not allow you to use maximum loads to stimulate the largest increases in size and strength. What if there was a training system that allowed you to use maximal loads on every rep of every set? Imagine the new increases in size and strength that you would achieve. Fortunately, there is, and it is called Rest Pause training. Rest pause training is not for the faint of heart and takes a lot of mental toughness and hard work. Of course, nothing worth having in life comes easy, and rest pause training is no exception. With rest pause training you take very short 10-15 second breaks in between each rep of a given exercise. Yes, you read that right, breaks in between each rep, not each set. 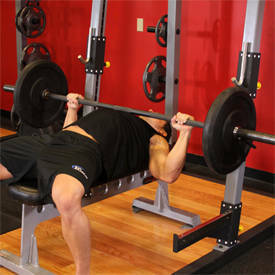 Let's use the bench press to illustrate how a rest pause set would look. Instead of cranking out five reps straight on the bench press, you will rack the bar after each rep to give your muscles 10-15 seconds to recover before doing the next rep. Using this rep scheme will allow you to handle much heavier loads than you normally use during regular rep schemes. Using the heavier weights alone will shock your body into getting stronger and in turn adding on some muscle. After all, which one do you think is going to generate more muscle growth, a set of five reps straight in the bench press with 250 lbs. or five rest pause reps with 300 lbs. on the bench press? There is no doubt that the heavier load will result in more muscle growth. Now do not make the mistake of thinking that this is some kind of powerlifting program. Sure, powerlifters often train with lots of singles with as much weight as they can handle. However, they take three to five minute breaks in between each set to ensure that they can handle the most weight per set and to avoid hypertrophy. With rest pause training you use heavy training loads with super short breaks. The combination hits the muscles hard and results in increases in size and strength. Also, if you are a pump addict, don't worry, you will get major pumps with rest pause training and not the kind where you inflate your muscles like a balloon. No my friend, I am talking about super dense pumps in which your muscles will feel as hard as a rock. How Effective Is Rest Pause Training? Here is what legendary bodybuilder Mike Mentzer stated about rest pause training, "Doing four reps, with the 10-second rest-pause, I increased every single exercise at least 20lbs per workout until I finally had improved 66% on each one. My size of course increased also. 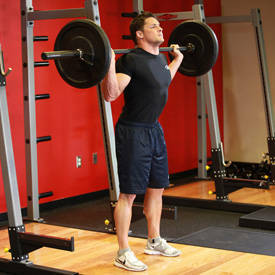 "Utilizing rest-pause style singles training is virtually perfect for getting stronger and gaining size. Because you are only performing one rep per set, you are able to use maximal loads. In addition, because you are performing the same movement for multiple sets in fairly rapid succession, you are training your central nervous system to become proficient in that movement. This leads to amazing gains in strength. Rest-pause style singles also allow you to use a fairly high overall volume - much higher than you would normally use when training with near maximal loads. By using a higher volume, the muscles are under a long TUL (Time Under Load), and when combined with a caloric surplus diet, this leads to increased muscle growth." Matt has had hundred of testimonials from people that have used his brand of rest pause training that have not only gotten stronger and bigger, but have also increased muscular endurance. What is great about rest pause training is that every rep is with a maximum load. With traditional rep schemes, the first several reps are only done to get to the last few reps, which produce the most growth. With rest pause training, we eliminate the foreplay and get right to the growth producing reps over and over again. This explains why Brooks Kubrick, author of "Dinosaur Training" loves training with heavy singles. Brooks stated that, "...heavy singles made me bigger and stronger than any other combination of sets and reps I ever tried.". There you go, three people with varied backgrounds and goals that experienced the full power of rest pause training. There is no doubt that rest pause training is effective for blasting through plateaus and adding size and strength. However, because it is so intense and different than standard bodybuilding programs, it is not an easy training program for most bodybuilders to break into and must be traveled with caution. After all, going from sets of 10-15 reps per set to 5-10 brutal rest pause reps will be a tremendous shock to your body and mind. Of course, we want to shock the body, but not at the expense of overtraining. Fortunately for you, I have found a much more "enjoyable" method to adapt gradually to the brutal rest pause training world. Here is how it is done. Take your three-rep max on a given exercise. 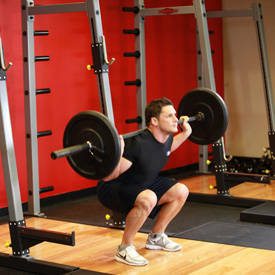 For example, lets say that your three rep max on barbell squats is 315lbs. Do five rest pause reps with 315 lbs. on barbell squats with one minute breaks in between each rep. Do one rep with 315 lbs., rack the weight and weight a minute before doing the next rep and so forth. It goes without saying that you should do exercises such as: barbell squats and bench presses in a squat rack, especially if you are training alone. Once you can do five singles with 315 lbs. with one minute breaks, add another rest pause rep to the workout for a total of six rest pause reps. Work your way up to a total of ten rest pause reps. At that point, decrease the rest periods to forty-five seconds per set. Once you can complete ten singles at forty five seconds, go to thirty seconds. Keep dropping the rest periods until you can do all ten reps with ten second breaks. Once you can do that, increase the training weight by 10 lbs. and start back at five rest pause reps and one minute breaks. Work your way up the ladder again before increasing the weight by another 10 lbs. Eventually you will get to a point in which 10 lb. increases are not possible. No problem, just increase the training load by five pounds or stay at ten rest pause reps with a given weight for two to three workouts to allow your mind and body to adapt. Another major tip for maximizing the benefits of rest pause training is the importance of using the same weight for each rest pause set. This is not only vital for your body, but for your psyche as well. Some trainers recommend starting off with your one rep max and when you cannot complete a rep with that weight, drop down 10 lbs. to a lighter weight and proceed. I do not recommend this form of rest pause training for two reasons. First, it will lead to burnout fast for most trainees. Second, it is not good for you psychologically to start heavy and have to drop weight on each set to continue. You leave the gym feeling beat up and defeated. Doing several rest pause reps with a given weight will build confidence and allow you to get stronger faster. Telling yourself that you cannot handle heavy weights and having to drop down with each set is not building a pattern of success. You want to complete each rest pause workout exhilarated, not burned out and exhausted. You read that right. You should be ready to conquer the world like a king after each rest pause workout, rather than feeling like Homer Simpson after he gets home from a hard days work. Breaking into rest pause training in the manner that I have outlined will allow you to make steady increases in strength and size by training for success and avoiding over training. When executed properly, rest pause training stimulates the central nervous system and gives you a mental boost. Many trainees feel invincible after a rest pause workout and feel perked up for hours afterwards. Many trainees like to do one major muscle group per day. For example, chest on Monday, back on Tuesday and so forth. While many trainees have used such programs effectively, I think that it is much more efficient to work antagonistic muscles in the same workout. Chest and lats are examples of two antagonistic muscle groups. Another example of antagonistic muscle groups is biceps and triceps. In addition to saving time, working antagonistic muscles sends blood back and forth between the muscles. You will find that one warms up the other and that you will be stronger on both as a result of working both muscle groups in the same workout. Stick with the rest pause training program for a minimum of five weeks. While you are doing rest pause training, don't think about other training programs or what you are going to do after you have completed a five-week rest pause training program. One of the biggest mistakes that I see many trainees make is changing their training regimens every week. They get excited about one program and after a week, get excited about another program and so forth. They never achieve consistency and ultimately get discouraged with their meager results. Don't fall into this category. Stay focused and stick with rest pause training for a month. After the first week I have a feeling that you will be hooked as the CNS boost is enough to get most people excited about their rest pause workouts. Once you strength jumps within two weeks and the increases in dense muscle arrive, you will be happy that you took the rest pause challenge and thought outside the box.